Finally, on Wednesday, June 6, President Trump gave her that chance. 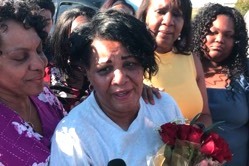 He granted Alice Marie Johnson, a now 63-year-old grandmother, clemency. This news came just over a week after reality TV star Kim Kardashian met with President Trump in order to discuss Johnson's release.